From newbie to pro in a day with 7 brain teasing exercises and full solutions provided. This course teaches you the fundamentals of any programming language, with Python 3.6 and Anaconda 5.0.0 with Jupyter Notebook! There are a total of 7 exercises between sections 3 to 8 with brain teasing tasks, along with full solutions provided in both lectures and in pdf format. This course will be updated this month (12/2017) with extra content. 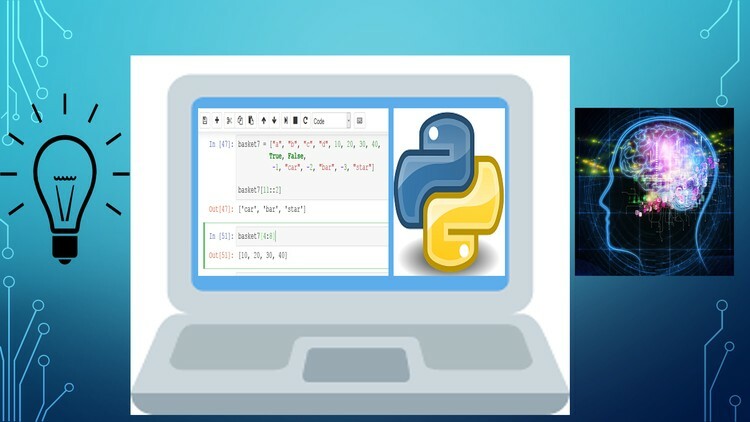 This is a taster of multiple up and coming courses I have in the pipeline, primarily in Python, but also other programming languages which will be released very soon! P.S. I'd appreciate a 5 star review for this free course as that would help me out a lot to create to more content. If you'd rather give a low review, please do so after completing at least 50% of the course.